Meetings are held quarterly, generally on the third Tuesday from 10:00 to 11:30 a.m.
8-14-18: "Cougar Dam Downstream Fish Passage," presented by Erica Tarbox, P.E., Technical Lead, Structural and Architectural Design Section, Portland District, US Army Corps of Engineers. 5-8-18: Levee safety, “Not Snow, Not Rain, nor Beer at Night.” - Juan Sorensen and Mahendra Shewalla, AECOM. Specifically, they talked about their efforts completing levee inspections for the USACE Levee Safety Program. Pictured at right, Jason McBain of the USACE Portland District signs the ACEC Oregon/ USACE Portland District Partnering Charter at their July 15 (2015) meeting. Ensure a cooperative dialogue between the USACE and ACEC Oregon at all levels. Clarify and understand the changing roles of USACE and the private sector. Foster an attitude that explores opportunities and resolves issues. Enhance professionalism and integrity throughout the design and construction industry. Promote quality and value through improved business practices. Invest in the future by promoting new technology, continuing education, and research and development. Promote qualifications-based selection procurement of A/E services. Promote the use of project delivery methods that best serve the public interest. 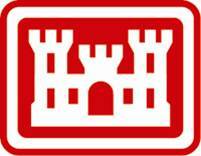 Support a healthy USACE and a strong U.S. engineering industry. Collaborate to expand U.S. business opportunities in the global marketplace. NOTE: Chair alternates every year between USACE and ACEC Oregon. Chair's one-year term begins January 1.